Residency Rule Upheld But For How Long? Appeals court overturns law killing city residency rule. State high court may review decision. The good news for Milwaukee is that state appeals court struck down the state law which eliminated its residency requirement for government employees. The bad news is that the decision will be appealed to the Wisconsin Supreme Court, which, as its recent John Doe decision suggests, tends to back anything the Republicans do. Residency laws are not uncommon in other big cities nationally, as I’ve previously written and can be found in Boston, Chicago, New Orleans, Philadelphia and Pittsburgh, as a survey by the Milwaukee Legislative Reference Bureau found. As for those cities who ended the requirement, the survey found, Minneapolis repealed the requirement in 1999 and 70 percent of its employees now live outside the city. Detroit did so in 1999 and 45 percent now live outside the city. Baltimore repealed in 1995 and 65 percent now live outside the city. Huge numbers of government employees also left St. Louis and Washington D.C. after residency rules were relaxed. In her concurring opinion, Judge Joan F. Kessler noted a consultant’s report that delineated the unique economic havoc the statute would have on Milwaukee, as Crocker Stephenson reported for the Milwaukee Journal Sentinel. The consultant predicted that 60 percent of Milwaukee’s 7,000 employees would become nonresidents and nearly 4,000 households would leave the city, resulting in an estimated retail loss of nearly $55 million and reducing the city’s tax base by $649 million. “There is no evidence in the record that any other municipality would likely be similarly affected,” Kessler wrote. Compared to other residents, city employees are more likely to own their homes, homes that on average are worth 20 percent more in assessed value than those of other residents, as I’ve reported. City officials tell me there has already been a substantial exodus of police and firefighters, who have moved to suburban homes since the residency requirement was overthrown. Supporters of ending the residency requirement had argued this will enable the city to hire better employees. But city statistics show there are 42 applications for the average job. In recent recruitments, the city received 5,711 applications for the position of fire fighter and 3,569 for the position of police officer. Police and fire workers often grumble about property taxes in Milwaukee, which are higher than many surrounding suburbs. But the major reason for that is the wages and benefits they are paid, which accounts for 60 percent of the entire city operating budget. But Mike Crivello, the police union’s president, told the Journal Sentinel his group would “seek review in the Wisconsin Supreme Court” of the Appeals Court decision. We live 3 blocks from St. Francis and our neighborhood has been hit hard by city employees selling their houses. It’s probably cost us easily $5,000-$10,000 in equity on our very middle class home. So don’t blame me, Milwaukee hating city employee, when I punch you square in the face next time you complain about a 75 year old requirement that was in place when you signed up to take my tax dollars. Wouldn’t the solution be a simple compromise? simply phase out residency. Employees who have worked for the city for 15 or 20 years are free to go… (just like the beloved MPS teachers who are sooooooo committed to the children). This would prevent destabilizing property values, provide a continuum of institutional knowledge and, frankly, be much fairer to everyone than what either the Republicans and Barrett have devised. City employees on the NW and SW side at this point have, at lest, a reactive police force. As crime spreads into previously decent neighorhoods, the Police seem either patrolling Summerfest or Ethnic Fest of the Week or Baumann’s district or Bay View. Why the hell should they keep paying outrageous property taxes to subsidize the elitist enclaves? Strange that the Trolley isn’t inspiring a reverse exodus into the City. I’m so tired of the state micromanaging Milwaukee. The state takes all income tax revenue, all sales tax revenue, a chunk of the property tax revenue as well as assorted fees. 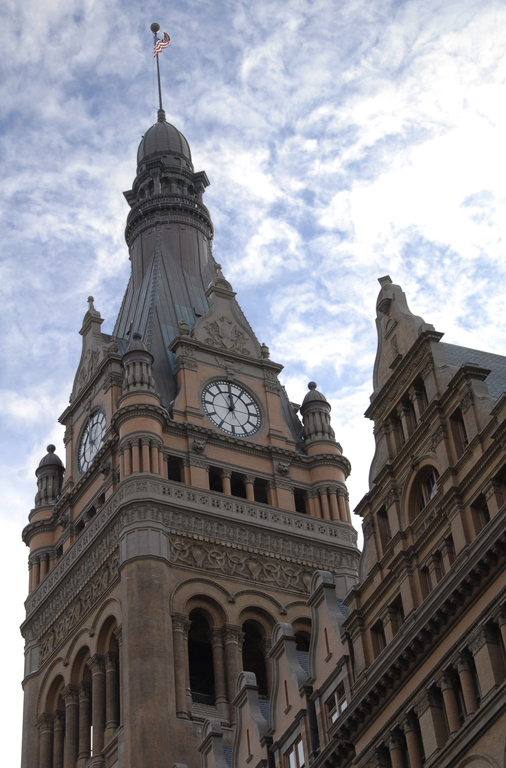 The only way Milwaukee can generate revenue for services is through fees and property taxes. So what does the state do?…… they eliminate residency requirements dictates how much Milwaukee can raise with local tax caps and reduces shared revenue. What this article does not address is how places like Mpls have shared revenue within their metro areas while Milwaukee does not. The state needs to get out of the way. Allow Milwaukee to manage itself. Also, it’s time to apply Act 10 to our heroes the firefighters and cops. I think people fail to understand where the power resides in this country. It comes form the states. The states created the federal government and can abolish it by themselves without any federal say this week if 3/4s of them wanted to. The states created the local counties to better serves residents. The municipalities are entities of the state. If the state wants to get rid of local control it can. If a state wanted to abolish municipalities all together it can. When a local government fails to rule responsibly it is the states responsibility to step in and overrule them if they see fit. This will be overturned unless is says somewhere in the state constitution that municipalities have the right to do this upon which a state constitutional amendment would be needed. @Patrick: If states are the sole arbiters of what’s legal and what’s not, then it is surely important to follow the state constitution. Wisconsin’s has a rigorous home-rule clause. The clause limits state regulation of municipalities to “matters of statewide concern” and mandates that these regulations be administered uniformly. Judge Curley’s decision (I would encourage all to read it) explains why the residency issue isn’t a matter of statewide concern, and why it can’t be administered uniformly, as it pertains almost solely to Milwaukee (the LRB’s research priorities even indicate this). Legal scholar (or just someone capable of reading and comprehending short article you are commenting on), you are not, Patrick. So it is likely that the Wis. Supremes having been bought by the KochRoaches would reverse the ruling is this something that could be taken any further up the judicial chain? Do the feds have any say over state laws? If you follow the logic of the Police and Fire Fighters Union leaders, the problem with Ryan Braun this year is he’s living in the city and think how much better the County would be if Chris Abele would move out of his condo to Franklin! And wait, the Brewers are owned, OWNED by a city resident (or at least part time resident)!! Now I understand!! @ Ingrid – a Wisconsin Supreme Court decision can be appealed to the US Supreme Court, but they have the right to decline to take the case. Since this is a very narrow issue, my bet would be that the US Supreme Court would not take the case, making the WI Supreme Court decision the highest it will go. In today’s paper Joel Kleefisch http://www.jsonline.com/news/opinion/court-got-it-wrong-residency-rules-are-bad-for-wisconsin-b99544158z1-318533121.html argues residency rules are bad for Wisconsin. Taking him at his word, has me wondering if Elizabeth Warren or Alan Grayson might be able to run for Kleefisch’s seat? Maybe Minnesota Governor Mark Dayton might run for Governor of Wisconsin when his term runs out over there. I mean when individuals applied for a local job, they knew the rules and could have chosen to apply to be a cop or fireman in Summit or Oconomowoc but didn’t. And they are free to leave and apply today. Bob Dohnal is free to be MCD isn’t he? When you have to resort to telling people that, no, we really do do a good job, you’ve pretty much already lost. Joel Kleefisch said that? Thought his goal when writing legislation was to ease the child support burdens of his political pals. The residency requirement for any municipality is a wise buffer that prevents urban decay whilst benefitting the public sector worker. MPS, MPD, MFD have enjoyed many good fringe benefits unknown to others and SHOULD GIVE BACK TO TAXPAYERS SUPPORTING THEM. This idea that you can have a very decent paying municipal job with nice benefits and then leave for the day…NO! That’s selfish! I am a retired MPS teacher . I am white. I am a Republican. I am a Christian. I do not want to see my city only occupied by undereducated and poor people! MPS Teachers, the MTEA talk all the time about serving the underprivileged student of Milwaukee but want to get into their cars at the end of the day and have nothing to do with Milwaukee! Talk about a serious disconnect!! Go to Europe. The life of Europe has always been and always will be in the cities. Suburbs have their amenities but they are cultureless deserts whose intention IS isolation. Why is it that we talk all the time in this country about our rights but rarely about our responsibilities? There are so many beautiful neighborhoods in Milwaukee, so many nice homes. I am so tired of my selfish colleagues who only want a paycheck but want nothing to do with their neighbors. Most MPS teachers who do support the residency requirement are African American. Most White teachers want to leave the city. If you think Milwaukee is a bad city – think again. It is actually a very beautiful city with many wonderful things to offer. It has a strong educational component in terms of local universities; has probably, the loveliest library system in the country; it is a very international city with a great deal of Old World charm; a world – class orchestra and resident chorus; a fine ballet and ballet school. Its Youth Arts Program is . again, probably the best in the country in terms of numbers of students serviced and in terms of quality. Think Milwaukee is an ugly city? No …It is quite a beautiful city. People come from other parts of the world and remark about what a gorgeous city this is. If you don’t think so, you’ve not travelled much. The forestry department in this city is phenomenal. The city is clean; its parks are urban oases. Most cities do not have anything like the extensive park system we have here in Milwaukee. The hospitals and clinics in this city are world – class. Does Milwaukee have its problems? Alas…it does…but educated people leaving our city in droves will do nothing to improve it. Boo Hoo about your home value. I couldn’t care less. You seem to really like Milwaukee. If you aren’t planning on leaving any time soon, your equity has time to rebound. Meanwhile I’ll be able to raise my kids outside of Murderwaukee. Milwaukee named 5th most dangerous city in country, you must be proud. Your “punch square in the face” comment proves you are a product of your environment. Well make it a good punch, because if I’m still conscious after the punch, I’m either going to beat you to the point of drooling all over yourself for the rest of your life, or shoot you. Then I’ll drive home…. out of Milwaukee. Talk about ‘product of your environment.’ You “will beat a man to drooling over themselves for life or shoot them.” WOW. You must be proud of yourself! And there will be no ‘equity rebound’ taking place in Milwaukee. That would be LAUGHABLE if it were sad as hell. Ok everyone, watch Milwaukee become Detroit. Here it comes…. Couldn’t the City achieve much the same thing (except for cops and firemen) by substantially cutting pay (Act 10 allows them to impose any cuts they want for employees other than MPD and MFD, right?) but then giving a large bonus for employee who live within the City? It’s probably better not to attempt this right now, while Republicans control the Governor’s mansion, both houses of the Legislature, and the now-non-partisan courts.